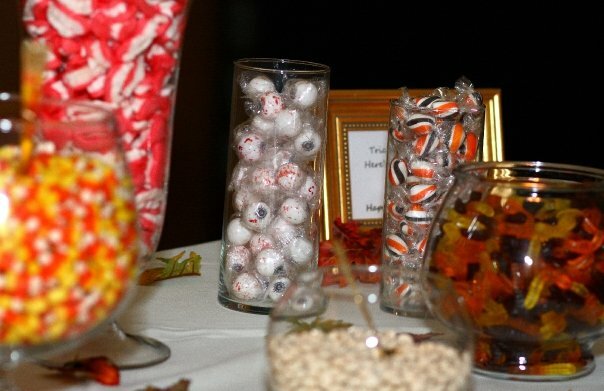 Our wedding day was great that morning my girls and I had a suite at the Skirvin Hotel downtown and while we got ready we had Halloween movies on the TV which made the day perfect! It was a stunning warm October day in Oklahoma and I was honestly completely relaxed. We didn’t have any hiccups and the day was beautiful and drama free. 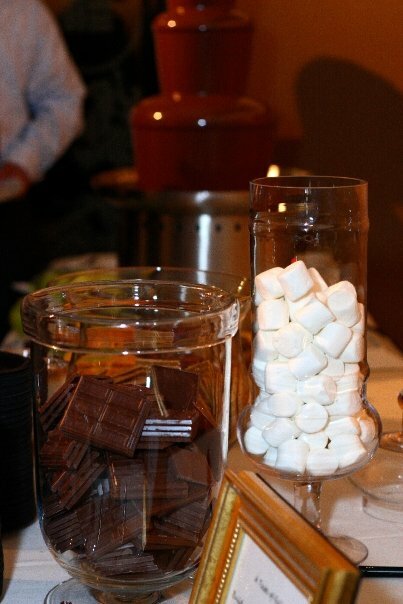 At our reception we had a Fall Make Your Own S’mores Bar complete with little burners for melting marshmallows. 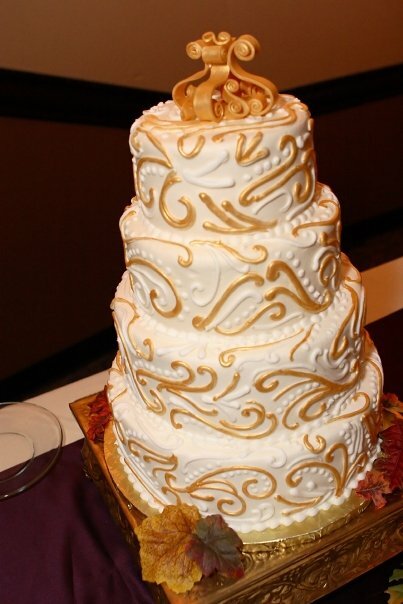 I incorporated gold into everything and had a stunning gold cake! 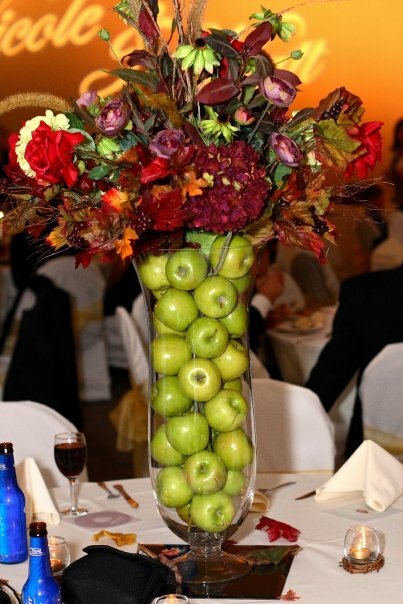 I tried my best to play up the Fall theme and you guys this was before Pinterest, I should get a medal or something for using my own brain… right? 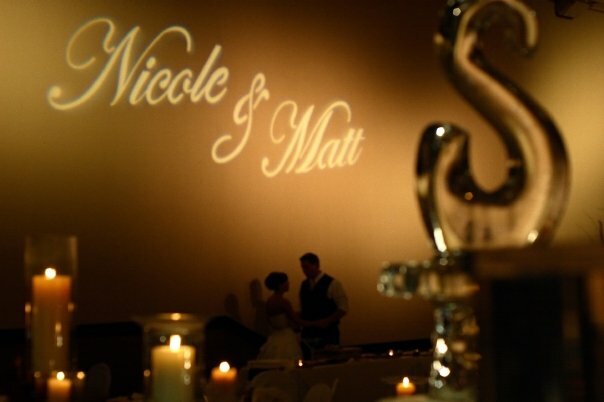 I love this picture, it shows our light writing, our S ice sculpture as well as Matt and I in the background! You know what is funny? I don’t remember this day. I see these pictures and know everything but I have no memories, it is just a flash on my timeline. I can’t put myself there and remember things but even a short time after the wedding I couldn’t remember what I said or anything Matt had said. The only negative on my day? We had a “friend” do the video and we never received any footage. nothing. I wish we had video to watch or to re-live this day but sadly we don’t.